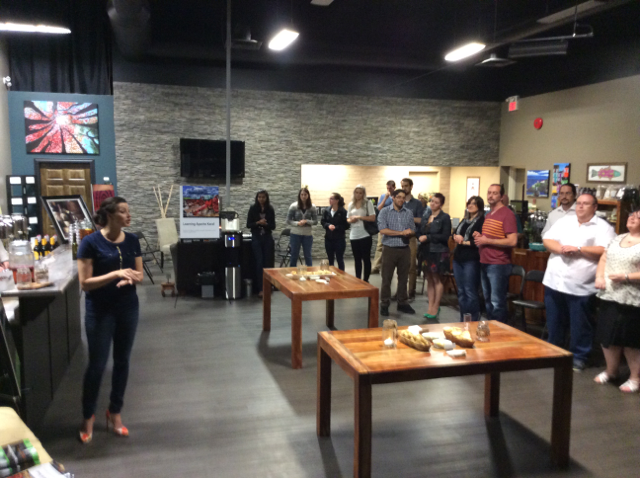 Apache Karaf Cookbook Launch Party! 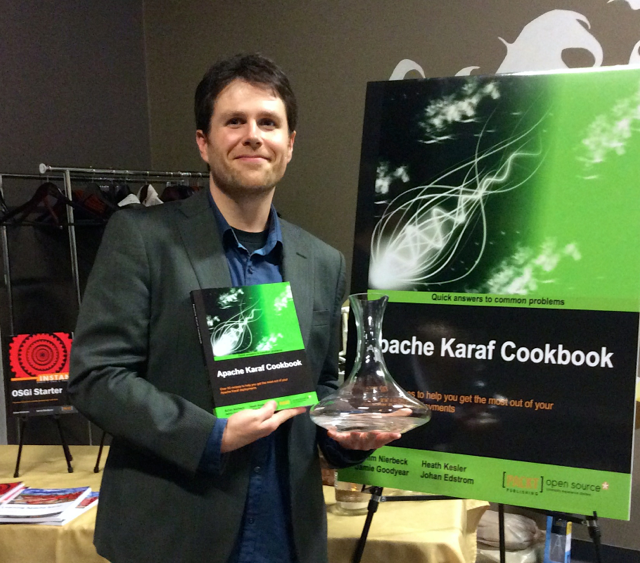 Last night I held a book launch event for Apache Karaf Cookbook. I wish my co-authors would have been able to be onsite for the event, however travel and other commitments made that impractical. 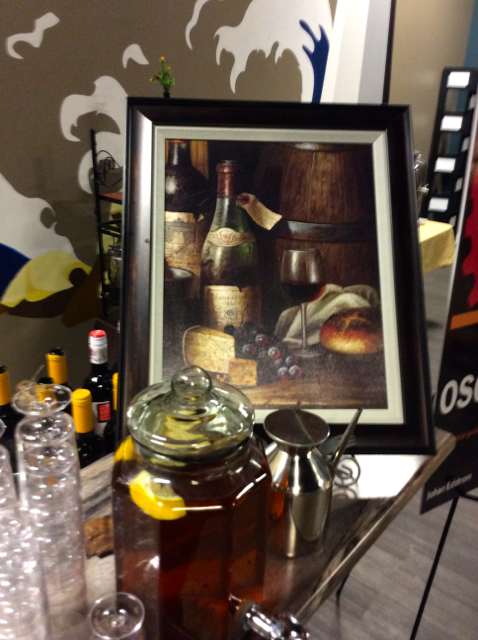 The night consisted of a short speech on the release of our latest book, then transitioned into two hours of guided Wine, Oils, and Vins tastings. So much fun! I've collected below some photos from the evening. 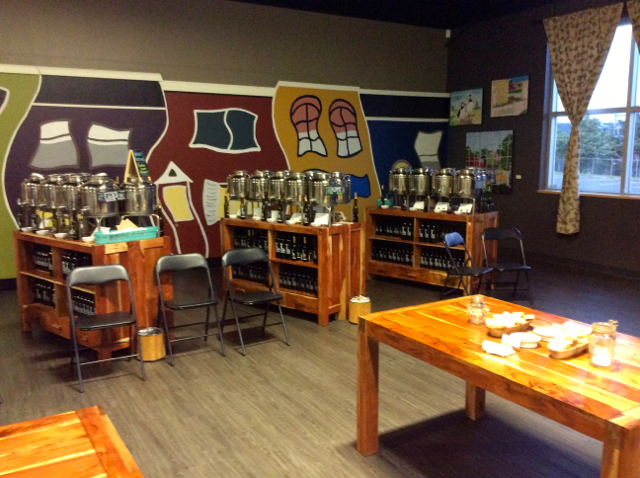 I'd like to thank the staff of O'Leva Oils & Vins Tasting Room for their excellent service and presentations. Garlic Crostinis with Brie and Garlic oil and Fig Balsamic. Beef meatballs with Basil olive oil bruschetta. 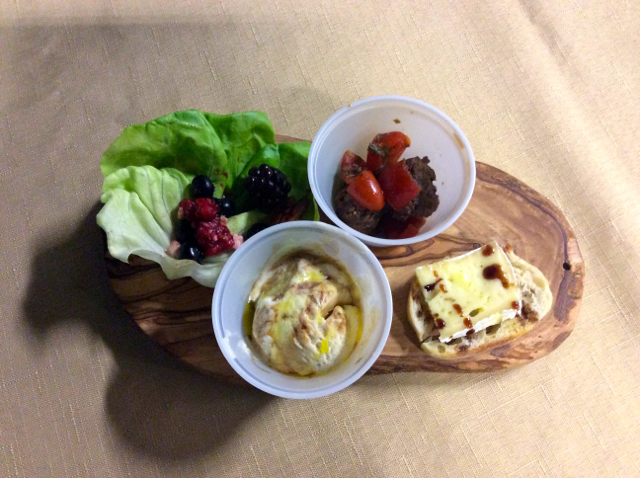 Lettuce wraps with Walnut Oil and Chocolate Balsamic. Vanilla Bean ice cream with Blood Orange olive oil and Espresso Balsamic. 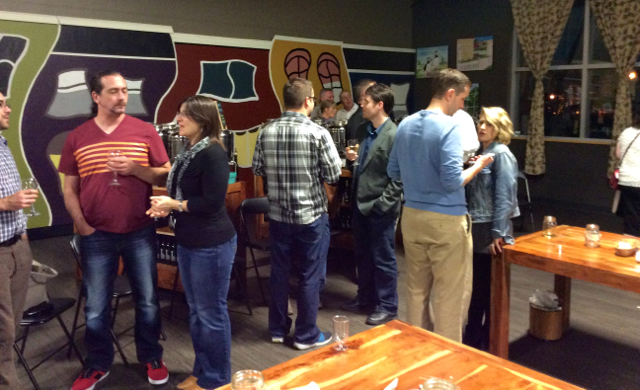 Mingling time in between wine tastings. 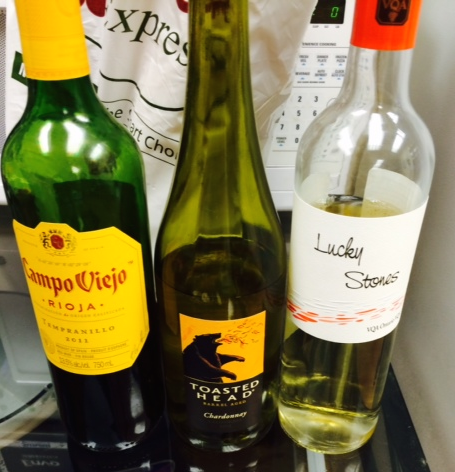 Campo Viejo, Toasted Head, and Lucky Stones. 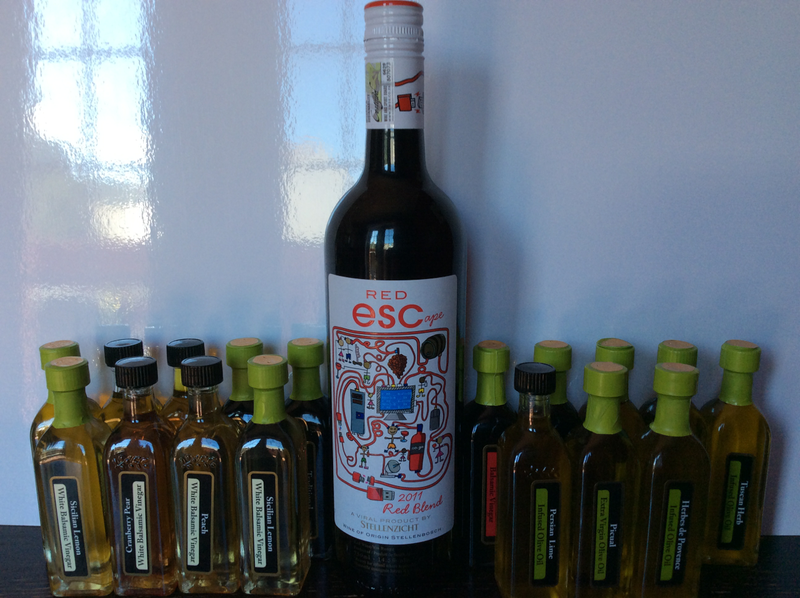 Red Esc and a multitude of Oils & Vins samplers. I'd like to thank all of my guests for making it out for the night, and sharing in the excitement of having the Apache Karaf Cookbook reach publication. Heath Kesler and I have submitted talks to ConFoo 2015 for consideration, and we need your votes to help make our proposals get noticed! "In this session attendees will learn how simple RESTful services are to implement and interact with using Camel Integration Engine and the CXF Framework. In as little as a few lines of code, a developer can implement a fully functioning, testable CXFRS endpoint. Learn how to implement thread pooling and asynchronous processing on the service while maintaining a flexible and scalable architecture that can grow with demand." 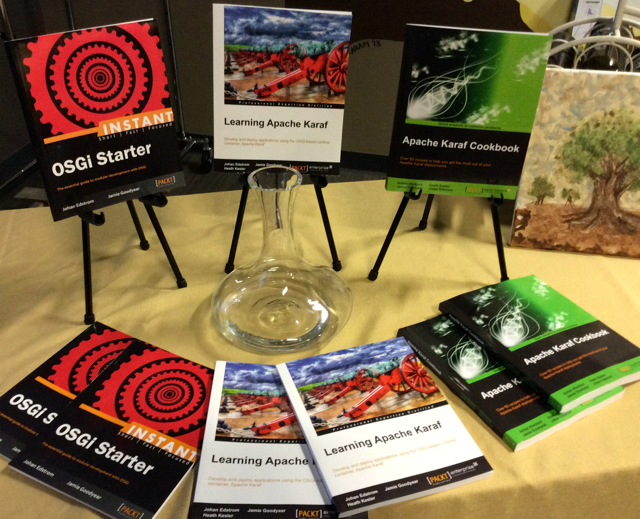 How OpenDaylight learned to breathe in Apache Karaf. How OpenDaylight learned to breathe in Apache Karaf. OpenDaylight is an open platform for network programming to enable SDN and NFV. Apache Karaf is a small, light weight server side OSGi runtime environment. In this session I will share our experiences in introducing OpenDaylight to Apache Karaf, and the subsequent large scale, multi-project migration to Apache Karaf’s OSGi environment. Apache Karaf is a small, light weight server side OSGi runtime environment, that has been gaining in popularity in the Open Source community. 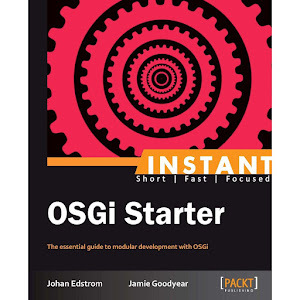 The shift towards using OSGi has introduced new challenges to architects, developers, and operators in building and deploying these systems. In this session I will share some of my experiences in developing, deploying, and maintaining Karaf based software systems among Global 2000 companies. Please register and vote on the ConFoo 2015 website. Apache Karaf 2.3.8 and 2.4.0 Released! The Apache Karaf team are pleased to announce the availability of Apache Karaf 2.3.8 and 2.4.0! Apache Karaf 2.3.8 is an update patch for Apache Karaf 2.3.7, containing several bug fixes, and dependency updates. We have introduced support of !$ to recall the last command argument, and improved the command description for osgi:shutdown. It is recommended that you review our release notes before updating your deployments. Apache Karaf 2.4.0 release represents a new branch of Apache Karaf development. It includes the latest Aries and Pax libraries, Apache Pom 14, add support for role-based JMX authorization, includes heap dumps when we create debugging data from create dump command, blueprint-web feature, support for JAAS groups, and includes Pax CDI feature. There are several hundred items currently in this RC's release notes, so you'll want to spend some time discovering all the hidden gems. As always, I'd like to thank the community for coming together to help make the Karaf release process one of the best in all of open source software. Apache Karaf Cookbook is now available from Packt Publishing! 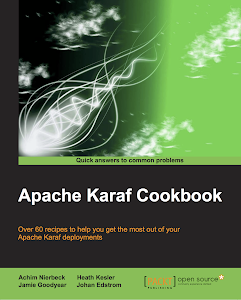 This past winter Johan, Heath, Achim, and I started our latest adventure writing Apache Karaf Cookbook for Packt Publishing. We're happy to announce that the book is finally available for order via Packt's website. We've taken care to cram as many hints, tips, and experiences into its pages as we could. We hope the community benefits from our experiences, we've poured a lot of ourselves into this title. 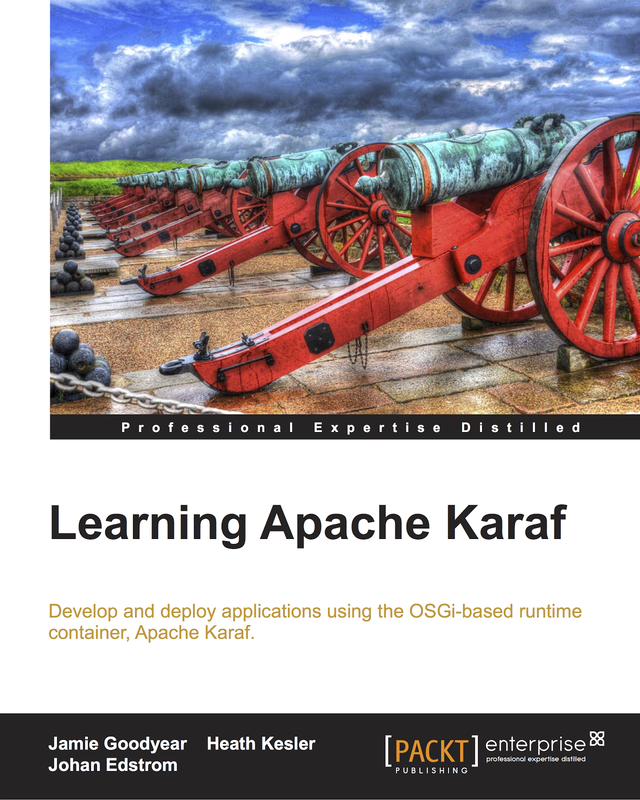 For more publications on Karaf please see our Instant OSGi Starter, and Learning Apache Karaf. Up coming release candidates - Apache Karaf 2.3.8, 2.4.0, and 3.0.2! This patch update will contain an essential update to Felix FileInstall, we hope to have this patch available for vote ASAP. 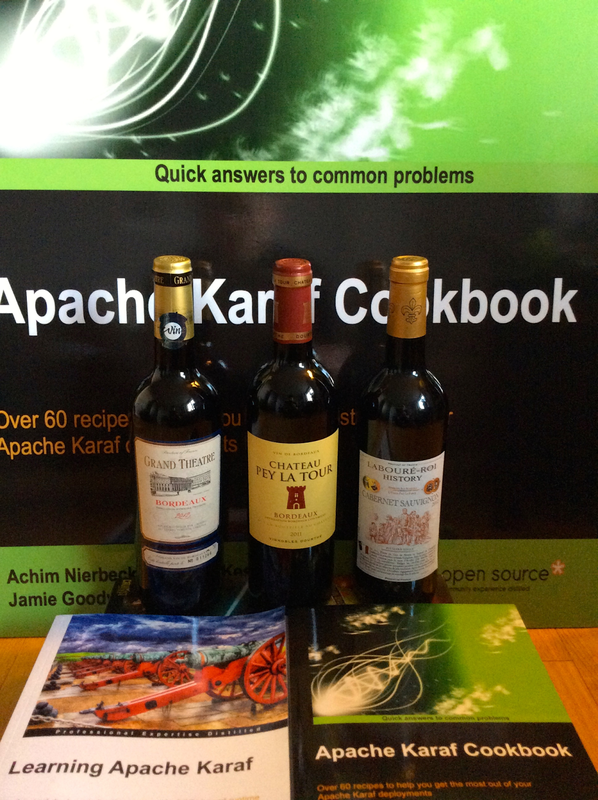 This release candidate represents a new branch of Apache Karaf development. It shall include the latest Aries and Pax libraries, Apache Pom 13, add support for role-based JMX authorization, includes heap dumps when we create debugging data from create dump command, blueprint-web feature, support for JAAS groups, and includes Pax CDI feature. There are several hundred items currently in this RC's release notes, so you'll want to spend some time discovering all the hidden gems. Our second patch update to the 3.0 line, this release candidate will contain vital bug fixes, and essential library updates.